Within the covers of this book unfolds a journey of discovery of the most unusual, the best preserved and the most archetypical vehicles that survive in the country today. It catalogs the most authentic examples of India’s automotive past, as well as a carefully considered selection of historic vehicles that stood out from all the others. Click the READ MORE button for the full list. A photographer who has built a strong portfolio, encompassing originality and a unique style, Makarand Baokar, exemplifies a range of expertise, from creative concept development, the photography shoot itself, through to full post-production. From shooting on the most treacherous mountain roads of Northern India, to plush studios in Mumbai, Baokar is able to get straight into the task at hand. Baokar has worked with and shot for brands such as Ford, Chevrolet, Hyundai, Skoda, Maruti Suzuki, Cartier, Nivea and for personalities like Prince Michael of Kent, Ari Vatanen, Giacomo Agostini, Ajinkya Rahane, Neel Jani and Sir Stirling Moss. 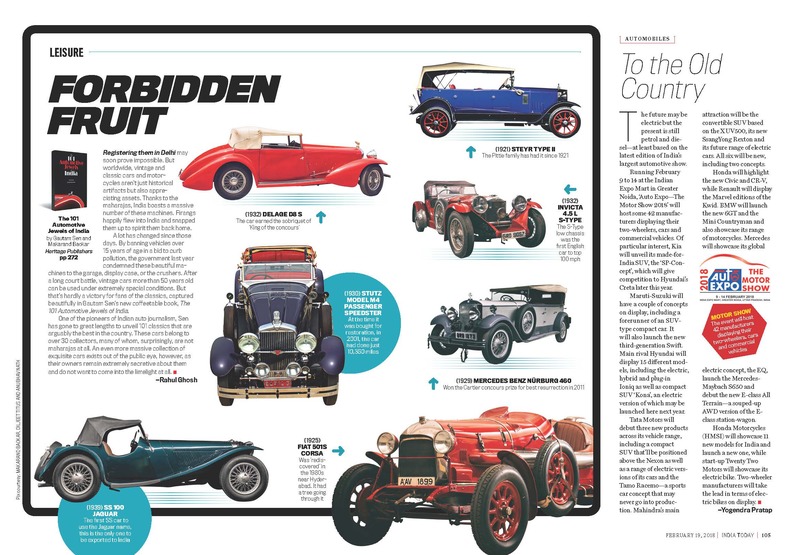 With a portfolio made up of more than 500 historic vehicles, Baokar is also a proud member of The Guild of Motoring Writers. 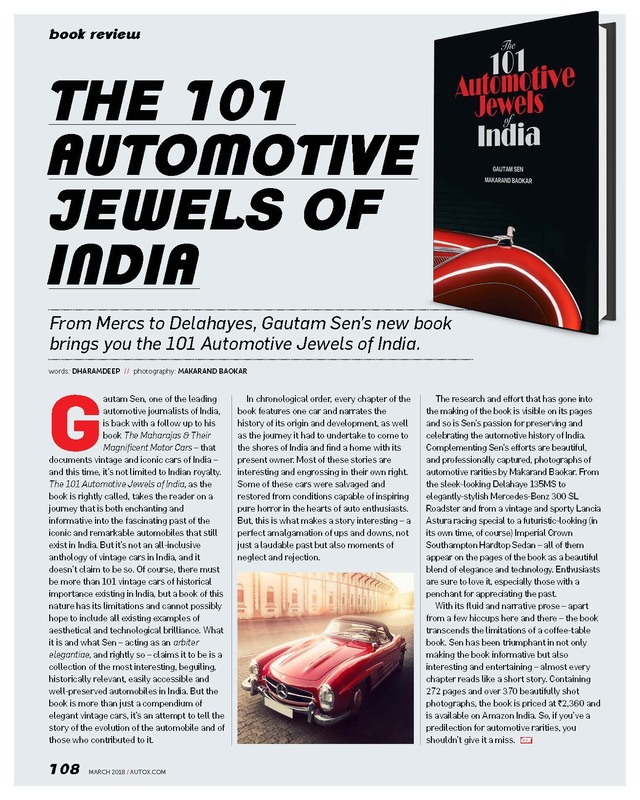 Amongst the books that Baokar has contributed with images and photography, the most noteworthy are: The Maharajas & Their Magnificent Motor Cars, Story of the Star in India, The Car Design Book, Rolls-Royce 17 EX A Fabulous Destiny, Adventure Drives with the Hyundai Creta, The Golden Quadrilateral India’s First Modern Highway Network, Marcello Gandini: Maestro of Design, and The Bertone Collection. A top quality book with superb photography, highly recommended.